If you are waiting for Delhi Police New Jobs Notification 2017 – 18 ??? then here is good news for you. Police Department Delhi has now released recruitment notification of 707 MTS (Civilian) Vacancies. All the job Seeker who are interested in Delhi Police Recruitment 2017 – 18 can fill online form here before the last date. Closing date for submit Delhi Police Vacancy online form is 16th January 2018. To get more information about Delhi Police MTS Bharti then check the below article. Delhi Police is inviting online form for filling up 707 MTS Vacancies. Online registration for Delhi Police MTS Recruitment will started from 17th December 2017. You can check post wise required Education Age & Other details from here, in the below section you can get full information about Delhi Police Jobs 2017. Other Details about Delhi Police Online form, Exam Notification etc. is also available Here at the end of the page. Latest News as on 18.12.2017 : Dear Applicants, Delhi has has now issued Online form for 707 MTS Vacancies. interested candidates can apply online form for Delhi Police Recruitment from here, link is mention at the end of the page. Official Website : www.delhipolice.nic.in/ www.delhipolicerecruitment.nic.in. Those candidates who are going to fill online form Delhi Police Vacancies & also want to know the eligibility Criteria For MTS Vacancies, they must check the below section. Here we are describing full details about Delhi Police MTS Recruitment 2017 –18 like Age , education & Other details. Applicants must have passed Matriculation (10th) or equivalent qualification from any recognized university for Delhi Police Vacancies. Candidates must have hold ITI Certificate in respective trade for MTS Bharti in Delhi Police. 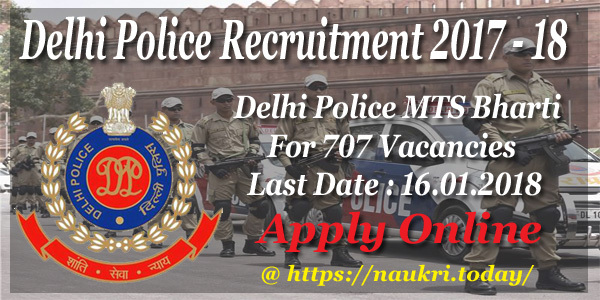 Minimum age of the candidates for Delhi Police 707 MTS Vacancies must be 18 years & maximum age should be 27 years as on 16.01.2018. Age relaxation for Delhi Police MTS Vacancies is applicable only for reserved category candidates up to 05 years for SC/St, 03 years for OBC & 10 years for PWD/Widow Candidates. For Post No. 01 to 04, 06 too 08 & 10 : Candidates will paid Rs. 18,000/- to 56,900/- per month. For Post No. 05 & 09 : Applicants will paid Rs. 19,900/- to 63,200/- per month for Delhi Police MTS Vacancies. Candidates needs to pay an application fee for filling Delhi Police Online form for MTS Bharti. Details about Application fess will issued after publication of Full notification on 16.12.2017. For more details keep stay with this page. Selection of the candidates for Delhi Police Recruitment 2017 – 18 will made on the basis of Written Exam, Skill Test, Qualification & Physical exam. More information about Selection Criteria you can check from Delhi Police Jobs Notification which will issued on or after 16.12.2017. Keep stay with this page for more updates. All updates will upload here time to time. First of all candidates visit to the official website www.delhipolirecruitment.nic.in. Now click on Official Delhi Police Vacancies Notification link. Read all the information mention in notification. Then click on Apply Delhi Police Online Form Link. Now upload your scanned photo & signature in form properly. Take a view before submit online form & check all filled details. Now deposit application fees if required. Submit Application Form by clicking on proceed button. Take print out of Tradesman application form for future use. Dear Participants, Applicants who have participated in Delhi Police MTS Exam must be waiting for exam result. Candidate can check Delhi Police Exam Result 2019 from the link which has given in link section. Here you can check cut off marks & answer key also. Department will announce Delhi Police MTS Result 2019 very soon. Conclusion : – Delhi Police Recruitment 2017 – 18 for 707 MTS Vacancies. Candidates can fill online form for Delhi Police MTS Vacancies 2017 on or before the last date 16.01.2018. Check Full details about MTS Bharti by reading the above article. Delhi Police 15000 Constable Recruitment 2017 : Here is a good news for for the all candidates who are searching Delhi Police Recruitment 2017. Delhi Police Recruitment Board has recently released a paper notification for Delhi 15000 Constable Vacancy in 2017-18. Male & Female candidates who are looking for Police Constable Jobs in Delhi, should fill up Delhi Police Vacancy Online Form 2017 by visiting the official site of DPRB. Candidates, who have passed out 12th class examination, may participate in latest Delhi Police Bharti 2017-18. Candidates are required to submit the Job Application Form before the last date. 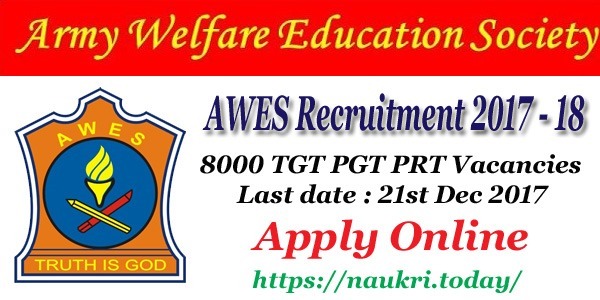 For more detail about age limit, education qualification, selection process, apply process, important dates & other are given below. Fresh Update (25.04.2017) : Dear candidate who are interested in Delhi Police Jobs, here is good news for you. We are providing here for all details related to SSC SI Notification 2017 | SSC CPO (SI & ASI) Exam 2017 Click Here. The Police Recruitment Board, Delhi, which conducts competitive recruitment examination for Constable/ Sub Inspector & other vacancies. Delhi Police headquarter is located in Indraprasta Estate, New Delhi. At present, 70000 employees are posted in Constable Staff and in Head Department. Recently, Police Department announced a news about Delhi Police 15000 Constable Recruitment 2017. Delhi Police Recruitment 2017 Apply Online process is going to start soon. Eligible & interested candidates may fill Police Vacancy Online Form either its official site & here. More detail is mentioned below. Popular As : Delhi Police/ DP. DP Constable Executive Post : 15000 Post. Date for Issued Delhi Police 15000 Constable Recruitment 2017 Notification : December 2016. Starting date for Delhi Police Recruitment 2017 Apply Online : Update Soon. Delhi Police Vacancy Online Form Last date : Update Soon. Date of Written Exam : Update Soon. Delhi Police Department is inviting application for Delhi Police 15000 Constable Recruitment 2017 notification. Candidates who are waiting for Constable Vacancy 2017 have a golden chance to grab Police Constable Job . Full detail of Delhi Police recruitment 2017 constable male executive vacancy is here. Candidates should have done 10th/ 10+2 (Intermediate) or equivalent qualification for Delhi Police Recruitment 2017 Apply Online. Candidates must have done education from authorized Institute for Delhi Police Jobs 2016. Candidates minimum age should be 18 years on or before the last date of Delhi police recruitment 2017 constable male. Maximum age for Male candidates should be 21 years & For female Candidates must be 25 years.as on last date. Age relaxation will be applicable as per Govt. Rules & Regulation for Delhi Police Vacancy Online Form 2017. Candidates, who should possess required eligibility to apply for Delhi Police 15000 Constable Recruitment 2017, have to pay application fee of Rs. 100/- [ General/OBC Category]. No need top pay for SC/ST/Female/PWD Category Candidates for Delhi Police Vacancy Online Form. Applicants will be paid Rs. 5,200/- to 20,200/- with grade pay Rs. 2,800/- after selecting in Delhi Police Vacancy 2017. For more Details Check Official Delhi Police Bharti 2017-18 Notification. Chest : 81 to 85 cm (75 cm only for ST and Hill Areas candidates) with 05 cm Expansion. Applicants, who have excited about Delhi Police 15000 Constable Recruitment 2017, can apply Delhi Police Recruitment 2017 Apply Online at www.delhipolice.nic.in. All the candidates, who should possess required eligibility criteria & other requirements for Delhi Police Bharti 2017-18, can fill up a application form in online mode. Online registrations for Delhi Police Vacancy 2017 will going to start soon. Candidates are advised to keep it on this page regularly to get all latest updates about Delhi Police Jobs. After available of DP Vacancy Online Form can done their registrations. A process of apply for Delhi Constable Jobs 2017 is given below. Download 15000 Constable Recruitment 2017 Notification & Check the details. If your eligibility match with Delhi Police Bharti 2017-18, proceed to apply online. Click to Delhi Police Recruitment 2017 Apply Online. Enter your required detail in online application form & submit. After all, you have to pay the application fee. Candidates can take a print of submitted form & fee paid receipt. Official Notification For Recruitment 2017 [Update Soon] Delhi Police Vacancy Online Form 2017 – Available Soon. Conclusion : Delhi Police 15000 Constable Recruitment 2017 notification published by Delhi Police Recruitment Board. Delhi Police Vacancy Online Form 2017 is available soon. Sir delhi police ki vacancy kb online hogi plz Sir reply me…..